You can heat your home in style by choosing from one of various contemporary radiator designs. Radiators can be designed with mirrored facades or set up in one of a variety of new configurations. Choose between vertical and horizontal styles. The days are long gone when you must rely on a heating system that is cumbersome and unsightly to view. Today’s heating systems are ultra-modern and innovative. Making an upgrade is a good idea as the newer radiator designs also optimise your living space. By choosing a designer radiator to heat a space, you are also providing a more efficient heating source. After all, a premium product will always offer a better source of heat, primarily if field experts built it. Use a designer radiator to maximise your heat output in such areas as the bedroom, bathroom living room a child’s playroom, or kitchen. Because a designer radiator is a high-quality heat source, it offers sufficient heat with a small amount of input. As a result, when you replace an old system with a premium designer radiator, you end up saving money on your energy usage. An older system can be costly to operate as it has to work harder to obtain the same results. Therefore, it is in your best interest to improve your heating system. Designer radiators are safer sources of heat as well. Because each heater is built to a high standard, it is not as probable to be susceptible to wear-and-tear. The newer models are also less seeming to affect the other radiators in your home. All heaters are designed so that they meet the proper standards for safety. If you are redesigning a room, you want to make sure everything matches well. If you add a traditional radiator to the décor though, you do not have this type of advantage. Heaters of this type usually do not come in a varied range of options when it comes to finishes. 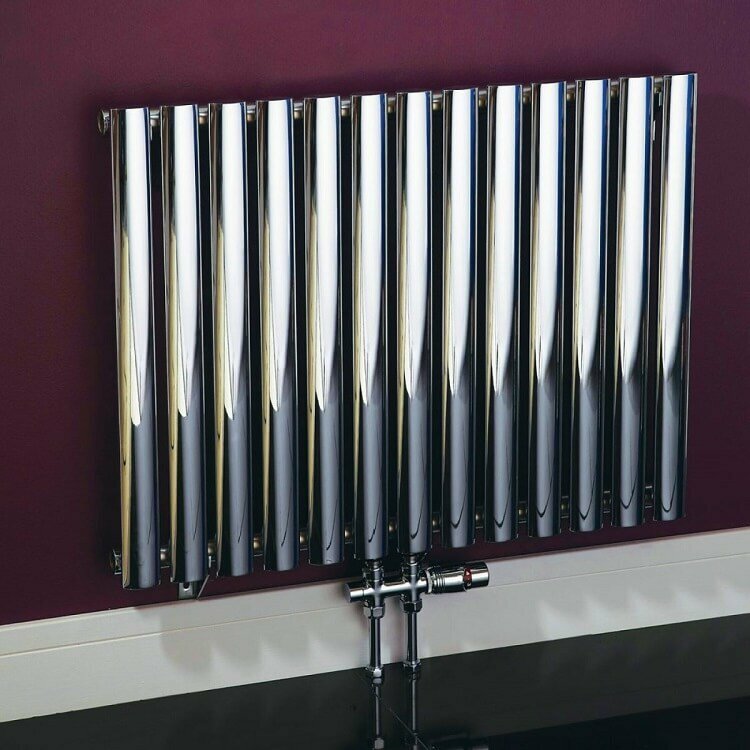 However, you can choose from modern radiator designs in various metal finishes and colours. For instance, you can select from finishes in chrome, steel, or black. When added to a modernised space, these types of finishes blend seamlessly. If you are planning to sell your home, you want to include the amenities that make it easy to display and sell. Therefore, adding a stylish heating system is sure to give you a competitive edge when marketing your property. If you include this upgrade in your home, you can realise a higher value for your real estate. If you are thinking of replacing your current heating source, review the selections available in modern designer radiator products. Optimise your living space as well as save money on heating.